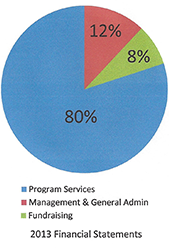 Every donor wants to be assured that the money he or she is investing in an organization will be well-spent. We can promise you that your contribution matters and will make a meaningful impact on our continuing work. Here are a few examples of what we’ve been doing that demonstrate our innovative and steadfast efforts. Providing detailed and reliable information and analysis to policy makers. 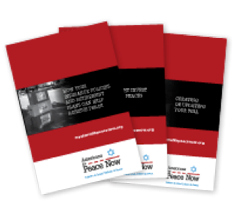 In addition to regularly informing new and established leaders about the latest news on Israel, we send candidates for office periodic issue briefs, providing important information and suggesting responsible and constructive ways to talk about issues relating to Israel and Middle East peace. Our goal is to enable candidates to engage in substantive, fact-based debates on these issues, avoiding damaging demagoguery and hyperbole. Using cutting-edge technology to reach activists, policy makers, and other supporters. One of our tools is Facts on the Ground, an online platform, also available as an iPhone app, which graphically illustrates the devastating impact of settlement expansion on the viability of a two-state solution. Emphasizing the critical role that Jerusalem plays in any future solution. There can be no peace without a compromise on Jerusalem. 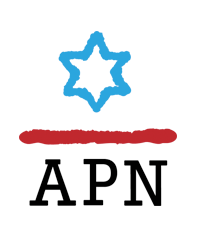 APN almost exclusively fights to drive that message against the grain of large segments of the Jewish and Christian communities in the US. Discrediting the idea of a one-state solution, which is luring some disenchanted peace activists away from efforts to establish an independent Palestinian state alongside Israel. The one-state concept is not practical, and would likely lead to bloodletting at a level that Israel and the Palestinians have not yet experienced. Among other means, we are voicing this message through a series of joint speaker programs, featuring Arab and Israeli speakers, on American campuses. Engaging new constituencies, including younger people, more conservative Jews, and the Christian community. Launching our Israel Study Tour each year, which will inspire a new core of energized and informed supporters. Reaching out to American Jews through synagogues and community centers, Jewish newspapers and web sites, and rabbis and other Jewish leaders. Our chief goal is to help open the conversation about Israel, to enhance the community’s ability to tolerate dissent.